Over 30 years experience with the practice. Dr. Gennaro attended medical school at the University of Medicine and Dentistry of New Jersey, and continued at the University for his residency in neurology. He has been in practice with our group since 1983. 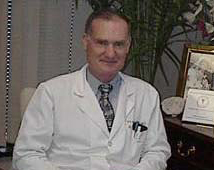 He is board certified in neurology by the American Board of Psychiatry and Neurology. In addition to his general neurology practice, Dr. Gennaro has special expertise in EMG/NCS and also performs spinal nerve blocks for certain neurologic conditions.